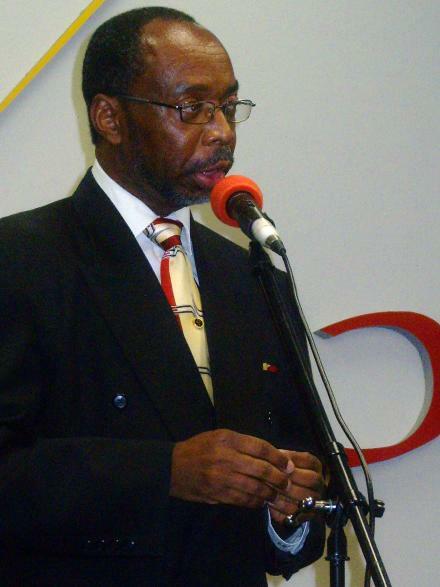 John Z. Reid is an ordained Pastor and the senior Minister of Caribbean United Church (CUC), in Houston, Texas, where he has worked since its inception in 2000. Prior to that calling, in the mid-1970s, he worked in Jamaica, West Indies, as a Colporteur, Bible Worker, Church Planter, Associate Evangelist, and Evangelist. His wife, the former Betty Ann Heron, also hails from the beautiful island of Jamaica and radiates an embracing and warm personality. She is a graduate of the University of Houston with a Bachelor of Science degree in Information System Technology and she is presently working on her MBA. She is also an active realtor and both have known each other since childhood. His dedication to the Proclamation of the Gospel Ministry is visible, outstanding, and remarkable. In 1981, he labored in the founding and leadership of the Cosmopolitan Seventh-day Adventist Church, in Houston, Texas, which gave birth to another church: First Missouri City Seventh-day Adventist Church. Then, he was instrumental in the planting of the Fondren Seventh-day Adventist Church (1983). In addition to the above churches, he held, among many church offices, pastorate at the Bethel Advent Church (formerly Sheffield Congregational Advent Church and Sheffield Seventh-day Adventist Church), before planting Caribbean United Church. · Cosmopolitan to Fondren: A Seventh-Day Adventist Church. · The Piano Keyboard: An African-American Children’s Saga. · Born to Win: A Poetic Biography of African-Americans.